Green Belt loss – Well I’m not surprised, are you? 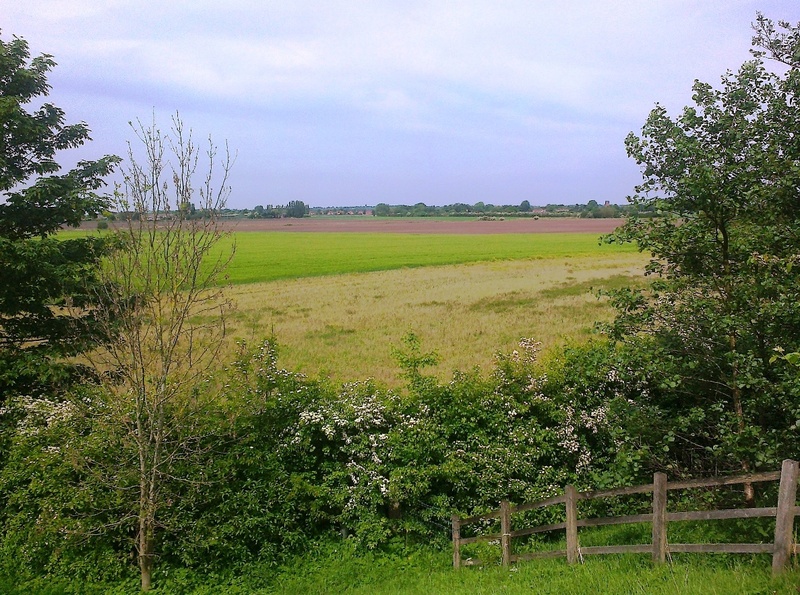 An analysis of the new Government data released today (4 October) by the Campaign to Protect Rural England (CPRE) shows that since 2012 almost 10,000 hectares of Green Belt land have been released from ‘protected’ Green Belt boundaries by local councils. 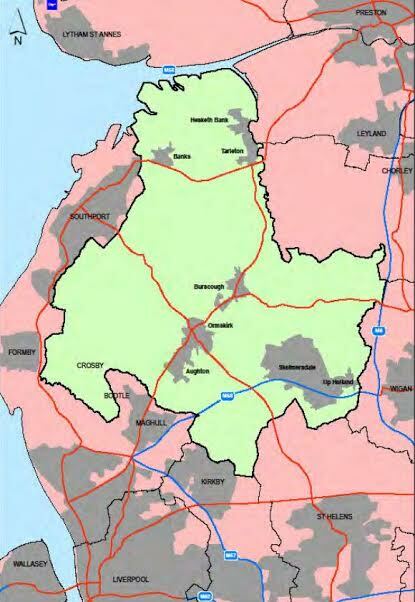 Ten councils have together released more than 5,000 hectares in the past year alone . 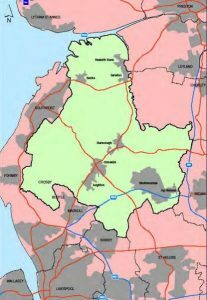 Can’t say I’m in any way surprised having spent years trying to stop building on Green Belt and the highest grades of agricultural land in Sefton Borough and now hearing of even more Green Belt development in neighbouring West Lancashire. Where on earth is the connect between housing, planning, food production and environmental policies here in the UK? And what’s so galling is that even when this precious food growing land is lost we will still not end up with the types of housing that we actually need! I have exchanged e-mails with a local volunteer who works with the environmental charity Sustrans and also the Trans Pennine Trail Office in Barnsley. All indications so far seem to point towards West Lancashire Borough Council being the lead organisation that needs to find some grant funding to address the matter. 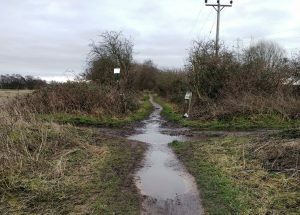 West Lancashire have flagged up the urgently needed work on their section of the Trail for some time now but unfortunately have been unsuccessful in securing funding. Earlier this year we helped our colleagues in West Lancs to try and secure some funding via their Community Infrastructure Levy (CIL) but despite many of our supporters voting for this project we were unsuccessful which is a great shame for all concerned. The level of funding needed is far beyond our partners budget allocation but this doesn’t infer that they aren’t committed to the works, this is purely down to a lack of funding available. Sustrans and the Friends of the Trans Pennine Trial are both registered charities which can be used to channel funding should there be a suitable ‘pot’ available. My guess is that little is going to happen in the short term unfortunately. Fracking – It’s getting closer – Exploratory drilling in Great Altcar is on the agenda! My own view is that the future of energy has to green energy and much greater strides towards it need to be made so making the need for fossil fuels a thing of the past. For example what on earth are we doing building any new houses or indeed industrial buildings or any form of building without them having solar panels/tiles on the roof? Have our political leaders learned nothing about green energy? By opposing fracking we can force politicians to really embrace green energy, by supporting fracking we simply kick the green energy can further down the road. We need environmental sustainability, end of. Wow this sounds very worthy but potentially boring, but hey give it a chance its actually quite interesting. Yes I know, this is the kind of document so beloved by planning officers. But such documents do serve a wider purpose and this one is about the green infrastructure of West Lancashire which surrounds my Lydiate hometown on 3 sides. I have often thought it is odd that Lydiate’s only land connection with Sefton Borough (to which it was allocated – some would say misappropriated – in 1974’s local government reorganisation) is via a short boundary with Maghull. All the rest of Lydiate has boundaries with Aughton, Downholland and Great Altcar Civil Parishes which are of course all in West Lancs. Map of the Borough of West Lancashire. Now hang on a minute – firstly please enlarge the map by clicking on it – there’s something not quite right here is there not? Crosby has seemingly moved inland and is where Great Altcar was last time I checked. And Bootle has also moved inland and north eastwards to replace Lydiate! Me thinks something has gone wrong with the map’s community labels. But ignoring this labeling error the map really does show that Lydiate is out on a limb, akin to a thumb sticking up into West Lancs. On that basis what goes on in West Lancs is of importance to Lydiate. So have a read if you have the time it’s all about the countryside that you probably use for leisure. For those wondering where this long-running project has actually got to here is an update. For clarity it should be remembered that the proposed site is within West Lancs Borough but the land that surrounds it to the east, west and south, is all in Sefton Borough. Planners at West Lancs Council do not, I understand, expect the planning processes to be completed until October or even November. It seems that several of the statutory consultees have yet to respond to the planning authority. These include Rural England, English Heritage, NATS and MOD. If memory serves this has been on-going for over 4 years now and still no planning application has come before the Planning Committee of West Lancs Borough Council for them to decide upon. The campaign group who oppose the wind farm (HALT) are still active and my own concerns about it being sited on high grade agricultural land still stand.